Ricky Martin in Montreal or Quebec City? Inform me about the next events for Ricky Martin. 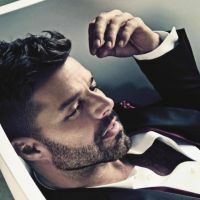 Enroll yourself to our priority waiting list for Ricky Martin to be alerted when new tickets are available. Filling this form doesn't engage you to any purchase. Ricky Martin is coming back to Montreal for a concert at the Bell Centre, on October 14th, 2015. Ricky Martin's last gig in Montreal goes back to 2011. A show is also set for Toronto, at the Air Canada Centre, on October 15th. Considered one of the most popular pop stars of the late 90's/early 2000s, Ricky Martin gained major success with his many hit singles such as Livin’ La Vida Loca, She Bangs and Shake Your Bon-Bon.